This lady suffered 30 years of fibromyalgia pain throughout her body, plus entrapment of the ulnar nerve in her left elbow for 5 years which caused numbness in her left hand. She was powerfully touched by God and spent most of the meeting on the floor, too drunk in the Spirit to get up. All pain left her after prayer and she was a very happy, relieved lady! 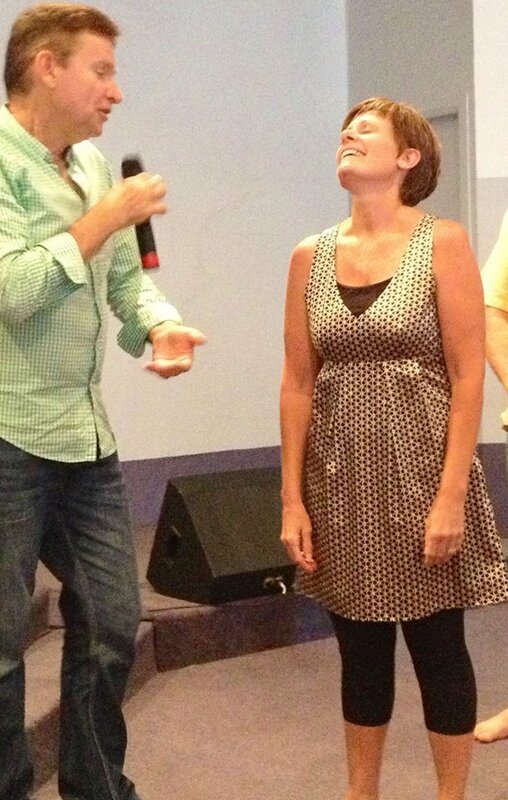 We saw several ladies healed of fibromyalgia this weekend. Posted in Cancer & Other Diseases, Creative Miracles and tagged with fibromyalgia, ulnar, nerve, john mellor, suffer, pain, powerfully, touched by God, drunk in the Spirit. December 5, 2013 by Brae Wyckoff.